The best way to celebrate Game Day? 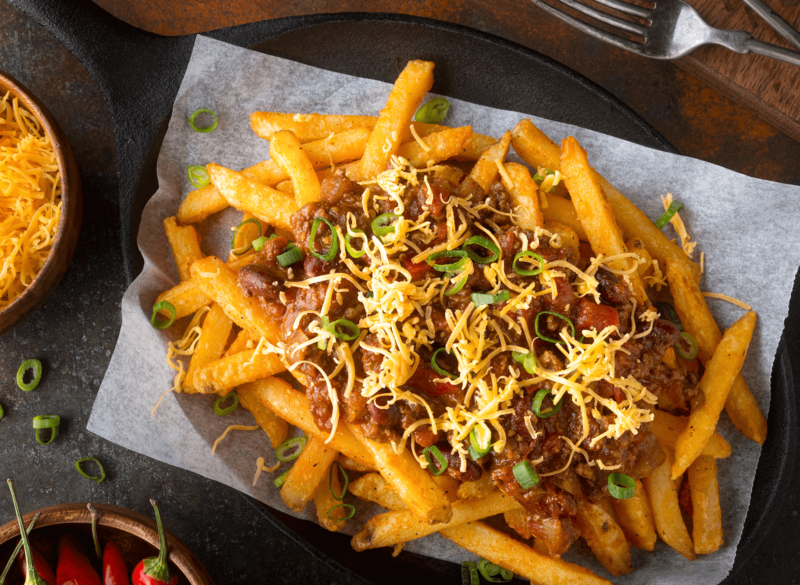 A heaping pile of chili cheese fries. This appetizer will score you major points! Coat frozen french fries in paprika, cumin and salt. Bake in pre-heated oven 20 to 25 minutes until the fries are crisp and golden, turning half way through baking. In a large pot over medium heat, crumble the ground beef until brown. Drain the excess grease. Add the remaining ingredients, except the cheese and chives, to the ground beef mixture, bring to a boil and reduce to a simmer. Allow to simmer for 30 minutes. Top the fries with the chili mixture. Top with shredded cheese and chives. Enjoy!